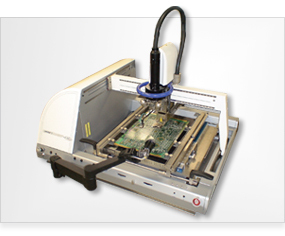 Fully automated, high performance, SMT Rework system. 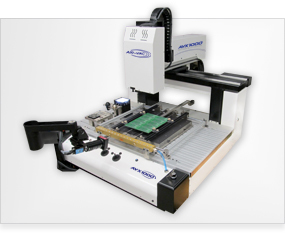 Fully automated, small board SMT Rework system. 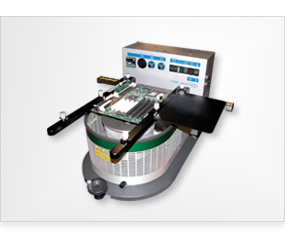 The most cost effective choice for lead-free and tin lead through hole rework and selective soldering. 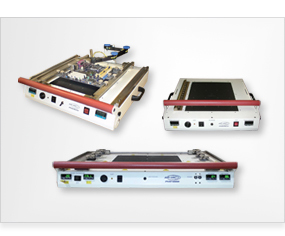 Same features as the PCBRM15 module but add a flexible preheat area for extra large boards up to 20" x 20". 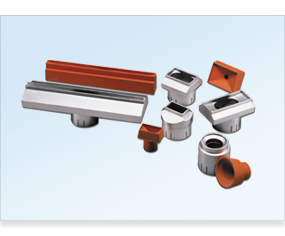 Advanced rework for minimal copper dissolution of PTH components on large, high thermal mass assemblies. 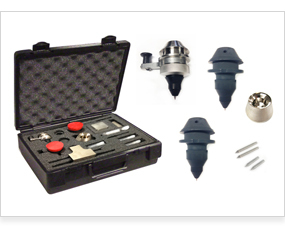 Greatly improve rework for hand tools and mini wave modules. 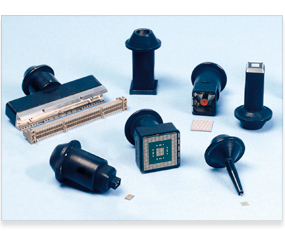 Great for lead-free or heat sink assemblies. 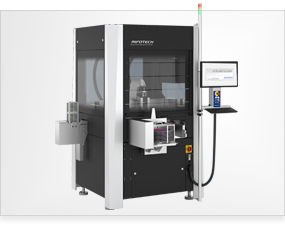 of solder flow on PCBRM models. 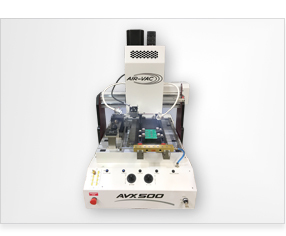 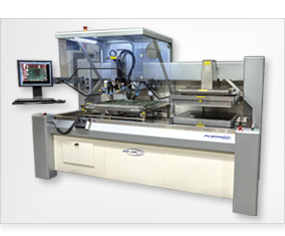 Highly automated, customer specific, micro assembly, dispensing, eutectic and ultrasonic bonding production system. 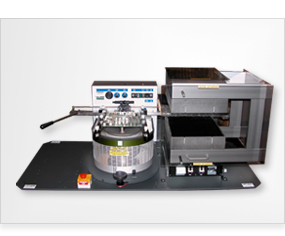 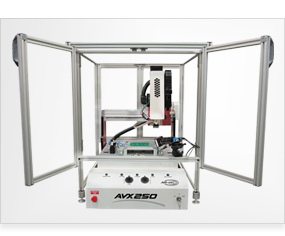 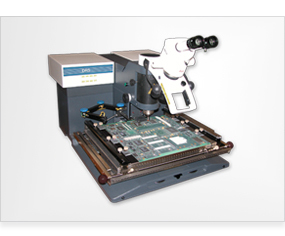 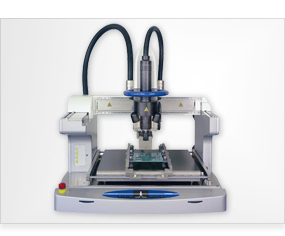 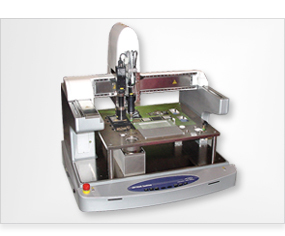 Ultra precision, microelectronics assembly, dispensing, and prototyping system with a wide variety of peripherals. 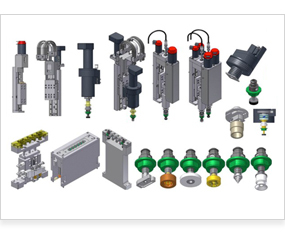 Platforms, assembly and dispense heads, nozzle stations, stack tray feeder unit, transport systems and more. 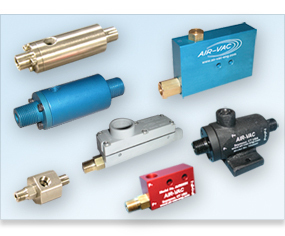 Air-Vac designs and builds custom Vacuum Venturi Pumps to meet your specific requirements.